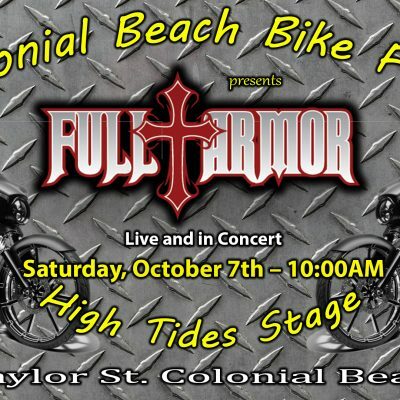 Full Armor is coming to Colonial Beach! Heavy Metal, Hard Rock, Southern Rock and Blues. For 30 years, Full Armor’s music has been loved and played here in America and around the world!